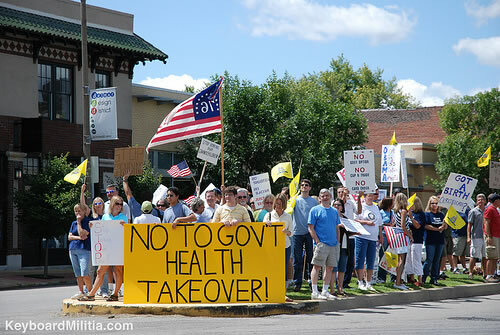 Protesters against Obamacare rally outside Claire McCaskill’s office in 2009. While much of the focus of late has been on the catastrophic failure of the Obamacare website, the true failure of this disastrous law is the law itself. Simply put, Obamacare is not a bad website, it is bad law. Obamacare provides a list that grows daily of broken promises by Democrats to the American people. Senator McCaskill voted in favor of this assault on individual liberty and owes the voters in her state answers.